Dental implants are ideal for providing foundations for restorations such as crowns and dentures. Dr. Hand has been placing dental implants in New Bern since 1986 and has remains current on the latest implant procedures and technologies. Modern implants can usually be placed in one visit to our office with a local anesthetic. After adequate healing, they can be used to support a crown or a denture. For denture wearers, implants can provide a significant increase in the stability and comfort of dentures by providing a strong and stable foundation. 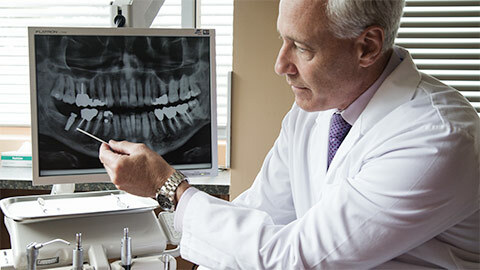 A dental implant is an artificial root that is placed directly into your jawbone. Once the implant is placed the bone tissue of your jaw naturally fuses with the implant, holding it firmly in place. 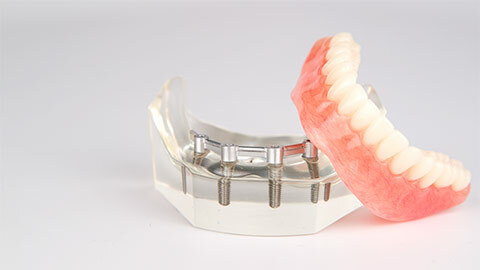 We can then place a crown or an implant supported denture on the implant. 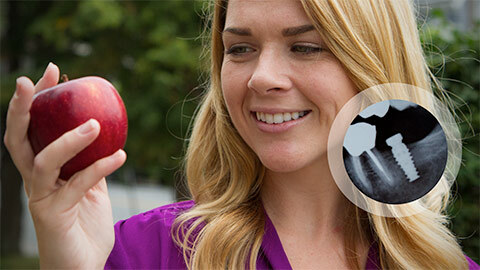 Implants are designed to last a lifetime, but they require the same care as regular teeth. Regular brushing and flossing around the implant will reduce your chances of infection or gum disease. If you’re missing one or more teeth and would like to consider implants as an option, contact our office today.